I have Sport Classic II wheels on a 1998 NB Carrera in Ocean Blue. The wheels are tatty to the point that even though the car is my daily driver, I'm getting a little embarrassed. My little ponder is : do I refurb @ ~£800 or do I buy something else for a change and attempt to shift the others? There's no right answer to this one - just interested in opinions. My favourite OEM 996 wheel..... but £800! Who is that with? sounds expensive to me for two piece wheel set refurb. That is circa the going rate it seems. Most quotes are coming in at a min of £150 plus VAT per wheel. Then you have to factor in tyre removal\refit etc.. I had a competitive quote from Chris (Exel) some months back which included the loan of spares but there is no expectation of change from £750. What you doing - getting them Rhodium plated? I paid way under £300 for all 4 Turbo alloys fully stripped, repaired (as they were seriously mullered), powder coated, tyres refit and balanced and they even washed my car for me before collection. are they the split rims? Yes, Classic IIs are split rims with multiple screws holding the split rims, so expensive to refurb. Exel did mine a couple of years ago, including a diamond turned rims and two front tyres fitted, came to around £1k. Thought it was good value!! Get those lovely Sport Classics refurbed. There's no cheap way of refurbing them to factory finish but one cheaper and more durable option, especially as it's a daily driver (which will hammer polished rims), is to have the wheels split, do the centres in a gunmetal grey powder coat and the rims in a "chrome" powder coat. This isn't proper chrome to avoid confusion. It's a very bright silver that looks great against the grey centres. Much more hard wearing for a daily driver and I reckon you'd be under £400 for that. Maybe less if you split them yourself. The wheels you have are in my (and many others) opinion the nicest wheels for a non aero kitted car. The only benefits in swapping would be less weight and a simpler design for when it comes to washing them. But £800 won't get much else decent. When I bought the car 6-7 years ago, the Sport Classic wheels were a stand-out feature. I loved them (and still do) but they are certainly a pain in the jack to clean. Having accepted the need to spend £800 on the refurb, I've started considering other options and hence the post. If there is an option to refurb at about half the price then it is a no-brainer. I'm making a few more calls to companies local to me (Wrexham \ Chester) and will update. HSC911 - thanks - will PM you but I suspect the freight charge will get in the way. Meanwhile... what else are people going for on these cars? Are Twists still popular? £800 is daft money..... theres nothing difficult about split rims, they are nuts and bolts, its maybe an hours extra work for the refurb place if that. I like the Sport Classics and I think a set might end up on mine at some point. I too would go the light grey centres with chrome powdercoat outer rims. Polished rims are such a PITA and need constant attention. 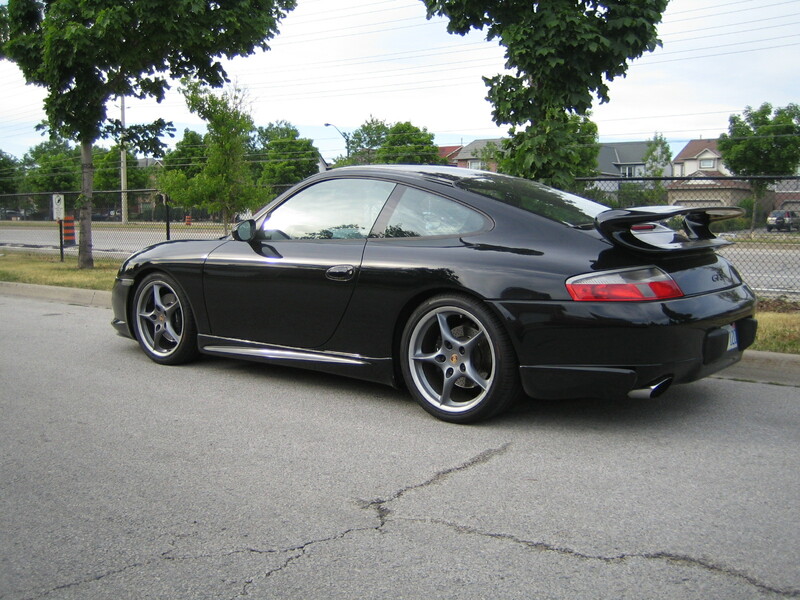 ...some of the lightest fitted to a 911..
infrasilver's BBS alloys look absolutely awesome on his 996. The fact that his car is beyond LOW helps. Unfortunately to refurb split rims the "proper" way which is split them all, strip and coat the centres and barrels, then diamond cut the rims, is way more labour intensive than one piece wheels, which can just be blasted then powder coated. It's just nuts and bolts... until the bolts start snapping and need drilling out very carefully. They're small (M7) bolts that have probably had 20 years to corrode into the rim. Sometimes easy, sometimes a nightmare. Then there's the machining of the rims. It's a very precise procedure (hence the term "precision engineering" ) and it takes much more time to do than hanging some rims up and just spraying them with powdercoat. Although that still needs doing too, before you machine them. After all that they're a pig to look after anyway, hence the popularity of the chrome powdercoat on the rims. Also when you diamond cut rims, you're removing the top layer of metal to get to fresh stuff. You only get maybe 3 cuts in a wheels life then there's no more meat left to remove. That's another good thing about coating them as you aren't removing any material, bar the tiny amount during sand blasting. £800 is a lot but if someone quoted less than £500 I'd be worried. Oh hang on, they were. They scrapped mine and had to buy me a replacement set. The company in question have a good rep and have been going for years. Even the experts get it wrong. I won't be naming them as they did the decent thing and replaced them and they will "never touch a set again as they're too much hassle". Willy, I'd trust most companies to split and powdercoat them, but be wary of who to let loose with them on a lathe. That's why the companies that are good at it know how to charge. I have the very same split rim wheels and was quoted £400 from a very busy place locally all in for remove tyres, split, damage repair (tyre fitters), repaint and bolt back together and remount tyres. This was for proper paint not powder btw. I wouldn't bother re-polishing / diamond cut / lacquering the rims its not worth the heartache as above.